After the release of our research paper Who's Counting the Dollars? concerning Community Amenity Contributions, we have asked candidates in this year's municipal election for their thoughts on our recommendations. A land value capture wouldn't entirely replace the CAC system, but it would dramatically scale it back by creating a more transparent system for measuring the impact that upzoning or nearby public infrastructure investments have on land value, and then capturing a portion of that 'lift' in value to spend on community priorities (like affordable housing and more robust public transit). In addition, it will dampen speculation, which is important. YES will expand consultations to ensure that neighbourhoods can have a much greater say in directing where and how the CACs are spent. *Note: Evoke has asked Hector Bremner to be more specific. Community Amenity Contributions need to be calculated from a predetermined and publicly available formula that takes into account things like the percentage of the project that is long-term secured rental (both market and non-market) as well as other social benefits. I'm really excited by the concept of allowing for more public input and participation in the direction of those funds. As with all consultation initiatives, efforts will need to be taken to ensure that non-privileged voices are amplified and that the funds are utilized in such a way that maximizes public benefit. With respect to CAC’s, the NPA believes that CAC’s should not lead planning, but rather that planning should come first – then CAC’s. Moreover, we foresee CAC’s as being predetermined based on a series of metrics (size, scope, location, etc.). These metrics would then fall on a spectrum that would determine CAC’s. Finally, the NPA is committed to genuine stakeholder engagement. This means that each development will include a proper opportunity for community engagement / feedback (not these rushed processes that fail to fully engage the local community) during which CAC’s would be discussed openly. We will immediately allow two secondary suites in detached homes, creating up to 40,000 new units for renters while providing new financial options for homeowners. Fast-track housing for those who need it most. Reduce costs of developing secondary suites and laneway homes. Renew outstanding co-op rental leases. Construct rental accommodations on City-owned land. Stop the practice of city planning based on developer cash contributions. Stop one-off and sweetheart deals with developers. Break the permitting longjam and bring down the cost of new units. Establish protections for displaced tenants. I support increased transparency around how and where CACs are spent within the community. I support ensuring CACs are spent by and in the community, in a manner that fosters inclusion, diversity and social equity. It's important that CAC revenue spending benefits the local community directly, but also the city as a whole, by adhering to progressive principles. Keeping CAC funds in the community has to be balanced with necessary city-wide goals like increasing affordable housing or reducing street homelessness. 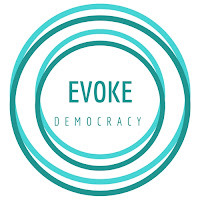 I share Evoke’s position that equitable and inclusive access to decision-making, as well as transparency is critical to democracy. Citizen engagement and empowerment fosters greater community ownership over key decisions. I am committed to building more resilient neighbourhoods through this approach. Vancouver is an amazing city, attracting people from across Canada and around the world. But despite all the construction happening around us, everyone but the very wealthy is finding it harder and harder to find affordable housing. As mayor, housing affordability will be my number one priority. CACs assist in addressing the demands for various public amenities associated with growth in the City. Requiring developers to contribute up to 80% of their profits to provide these community services and amenities for all residents to live active and social lives is critical. My priority is to build 25,000 new non-profit affordable rental homes over the next ten years. I’ll focus on building affordable rental homes for those making $80,000 a year or less, more non-market and supportive housing for our most vulnerable citizens, and targeted housing solutions for Indigenous Peoples, cultural communities, seniors, and people living with disabilities. To address your Evoke’s concern that CAC’s don’t always directly benefit the communities in which they are generated, my priority will be to require onsite delivery of housing, childcare, or other community amenities (vs. payment in lieu) so that benefits go to the community where the project is built. The allocation of public benefits is determined through a Public Benefit Strategy (PBS). PBSs are developed through the planning process (eg., West End Plan, the DTES Plan, Grandview Woodlands Plan, etc.). I support the idea of a participatory budgeting process and building on the West End Participatory Budgeting Pilot will expand and pilot the process in other communities. Increasing density helps create livable and sustainable communities, economic vitality, and enables a better response to a growing and changing population. Ensuring resident buy in and support for change requires more robust engagement and meaningful decision-making authority within their community. I am committed to that principle.